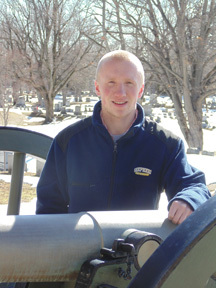 Kevin Pawlak is the Director of Education for the Mosby Heritage Area Association and works as a Licensed Battlefield Guide at Antietam National National Battlefield. Kevin also sits on the Board of Directors of the Shepherdstown Battlefield Preservation Association and the Save Historic Antietam Foundation. He is also on the advisory board of the George Tyler Moore Center for the Study of the Civil War at Shepherd University, his alma mater. Previously, Kevin has worked and completed internships at Harpers Ferry National Historical Park, The Papers of Abraham Lincoln at the Abraham Lincoln Presidential Library, and the Missouri Civil War Museum. Kevin is the author of Shepherdstown in the Civil War: One Vast Confederate Hospital, published by The History Press in 2015. He has also authored “‘The Heaviest Blow Yet Given the Confederacy’: The Emancipation Proclamation Changes the Civil War” in the forthcoming Turning Points of the Civil War, part of Emerging Civil War’s Engaging the Civil War Series with Southern Illinois University Press.